What does this Jubilee Year of Mercy actually mean for us? Does it make any difference to how we live and how we treat each other? My column is published today in the Scottish Catholic Observer. Get your copy this weekend and start thinking. Will you go out with Boris and his pals? We are nearly there. Thursday is the day when we will choose whether to go out of Europe with Boris and the guys in the band or stay and get on with business. What will you choose to do? Boris tells us that we should go because we will be able to rule without the interference of the ‘Brussels bureaucrats’ who interfere with our freedoms. They neglect to say that the EU has brought us more freedoms than this government ever did. They would love to rule us unhindered by ‘human rights’ (how can they make that sound like an offence?) and working time directives that stop employers forcing people to work unsafe hours. 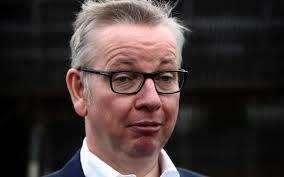 Here’s Michael Gove. Remember Michael as Education secretary? He instigated a programme to remove schools from local, democratic control to be responsibel only to the Education secretary, himself. 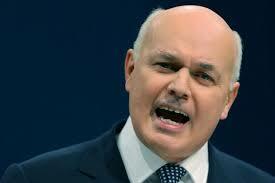 He would be a great champion of our democracy, unhindered by European ‘interference’. Ian Duncan Smith, the man who has pushed through reforms to the welfare system that took millions away from the poorest in society, is he your cup of tea? Everything was going well until he fell out with the P.M. and decided to change his story about the reforms. Watch out he doesn’t do the same after he takes us out of Europe. 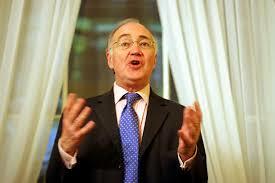 Michael Howerd, a man with ‘something of the night’ about him, according to another Tory M.P. Where did he ever take the Tories? Are those a safe pair of hands? I’m not convinced that he is all that he pretends to be. I don’t think I’d go into a dark alley with him. 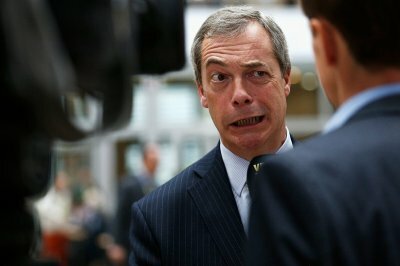 Nigel Farage, hail fellow well met? The kind of guy you would have a pint with down the boozer? Well, he has never appeared in my local. Is that because he is a former commodities broker? One of the financial types who made such a great job of the economy a few years ag? We’re still paying for that. He might deny that his campaigning is racist but I think that would be hard to prove. Is he your type? 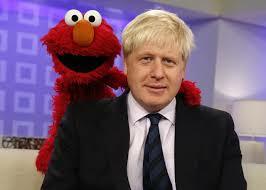 Then there’s Boris himself, a man who see’s himself as the one who pulls the strings. If we all vote his way and trott out of Europe forever then he will be well placed to take over as leader of the Tory party. That will make him prime minister. It’s difficult to know what that would mean for the country as Boris is prone to changing his mind about policies to fit the current trend. Can he be trusted? I think I’d prefer the guy on his right. Well if you do decide to leave then remember you asked for it. The complaints desk here will be closing down for good. The rest of the world might just be in too bad a state to be able to help in any way. The Holy Father, Pope Francis instituted the Holy Year of Mercy by opening the Holy Door on the 8th December 2015 at the Vatican. Each diocese has its own holy door and we are all invited to pass through this door. Since last month’s article I have been on a pilgrimage to Assisi and Rome as part of my Holy Year. I have passed through Holy doors in Assisi and at the Vatican as well as other basilicas in Rome. So what is it like to pass through this door? What happens as you pass through? Well it’s like passing through any other door. What happens is you go from the outside to the inside. Going through the door doesn’t do anything to you. It is a symbolic act. It symbolises my coming in from the world’s values into the values Christ taught us. By walking through the door I express my willingness, my intention to change, to follow Christ’s teachings of mercy. Walking through the door is only the start. We are expected to stop and pray, contemplating our coming to Christ’s mercy. To gain the jubilee indulgence we are also expected to receive the sacrament of reconciliation and the Eucharist soon after. Confessions in a range of languages were available in the Basilica of Saint John Lateran when we went through that particular holy door and our parish priest; Fr. Eamon Sweeney celebrated mass with us every day of the pilgrimage. This was my first time in Rome. The Vatican is a magnificent setting. Saint Peter’s Square, (It’s not really square) filled with people is something to be experienced. Security in The Vatican City is very tight with armed police and soldiers at strategic points. We had to pass through airport type scanners each time we went in. That didn’t dampen the enthusiasm of the crowds. I didn’t find Saint Peter’s to be the place I had expected. The architecture, the history and the artworks are very impressive but it felt, to me a bit like a museum. The crowds of tourists milling around taking pictures added to this feeling. I was looking for the centre, the core of the Church and it didn’t seem to be here. Turning round I met a young man from the Balkans with his little daughter Matilda on his shoulders. Now that is where the core of the Church lies; in the people, especially the children. My image of the Vatican has changed. I don’t see it as the core of the Church but as a kind of pin that Catholics all over the world are linked to and through that linked to each other. It’s a symbol of our unity together under the leadership of the Holy Father. However I can understand why Pope Francis decided to live somewhere other than the Papal apartments. During our time in Rome we attended the Papal blessing and the Holy Father’s general audience. His address during the audience was enlightening. He referred to the parable of the Good Shepherd and the lost sheep. The Pope told us that Jesus doesn’t see any of us as lost sheep but just sheep waiting to be found. His intention is for everyone to be saved. Just as the Good Shepherd rejoices in bringing back the lost sheep, Jesus rejoices in the return of the sinner. He also mentioned that the rest of the flock rejoices in the return of the lost sheep. That raises the question of how we, the rest of the flock, view the return of the sinner. That was a bit puzzling. I’m not sure whether I am one of the rest of the flock or a sinner making a return. I suppose I am both. My life seems to go in cycles when I am sometimes out of touch with God and times when I get closer. However, it does imply that I should be rejoicing when sinners return to the fold. That raises the question of how I respond to returning sinners. Do I welcome those who have seen the error of their ways or am I dismissive of their motives? Jesus spent a lot of time with people who were widely regarded as sinners. Some thought that made him a bit suspect. Am I willing to be thought suspect by welcoming sinners? Another important theme in the story of the Good Shepherd is that the lost sheep can’t find its way back on its own. Just like the sheep we can only find our way back to Jesus because He reaches out to us. The Church provides the paths back to Jesus through the sacrament of reconciliation, bringing forgiveness and the Eucharist, nourishment for the soul. How can we act like Jesus and help bring lost sheep back to the fold? I pose the question but I’m afraid I can’t give the answer. I can suggest what not to do. We should never condemn sinners; for two reasons. The first reason is that I am a sinner and I’d rather not be condemned and the second reason is that Jesus never condemned anybody. If I can come back to the Holy Door for a moment, I’d like to point out that after going in through the Holy Door I came back out. If going in through the Holy Door was a symbol of turning back from worldly ways to the gospel teaching, then going back out can only be symbolic of taking the gospel out into the world. Passing through the door and taking the other steps to gain the indulgence offered is only the first step, not an end in itself. There is no going back to our old ways. We are now on a new path, bringing mercy to our fellow sinners. Perhaps we could take a leaf out of the Holy Father’s book. When we attended the General Audience in Saint Peter’s Square the security was highly visible and very strict. Armed police and soldiers screened everyone entering the square and the Pope’s personal security men kept very close. Despite this and the threats that lay behind it, he was joyful on his tour round the square. His face lit up as he toured and the crowd cheered. Our gospel story is the greatest story ever told. It is the good news and that should surely show in our faces as we make our daily rounds of work, shopping and our home life. I have to ask myself if I am showing the joy that Christ’s message brings or if I’m just a grumpy wee bald guy, muttering to himself as he goes about his day. I’ll have to give that some thought. Am I encouraging others by my joyful outlook or am I putting people off by giving the impression that the Church is a solemn, glum place to be? If you would like to hear the Holy Father and the English translation of the summary of his talk you will find it below.